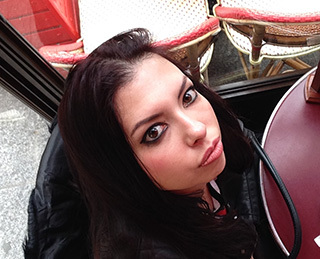 Writer, blogger, columnist, coffee lover, frequent Paris dweller and in love with Skopje. I like Woody Allen movies and I think that the soul of every city is in its hidden streets and spots where you no longer feel like a tourist, but where you can actually start writing your story. Its soul and old spirit that still manage to walk hand in hand with the fast-pacing world. It’s small, but it can easily be compared with its larger colleagues in terms of fashion, creative people and things to do, all the while making everyone feel like home. Corner Bar&Kitchen – All day, every day!